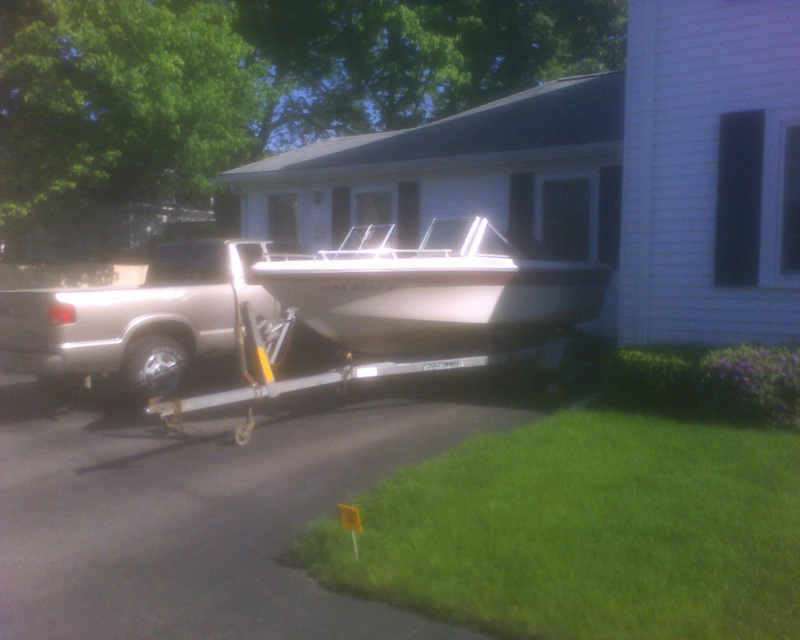 No thats not why there's a boat in the driveway. I just didn't feel like driving back and forth 100x getting it ready, so I figured I'll bring the boat home for once. I need to vacuum it, wash it, wax it, hopefully tear the rugs out, replace one of the rails, hopefully do something with the lights. Also I have to put some new lights on the trailer so they hopefully will actually work :-) And I'm sure the more I do, the longer this list will get. Hey another plus of doing this in Stoneham vs Derry, there are no mosquitos in Stoneham!